This is a kingdom of trade routes and brave warriors. 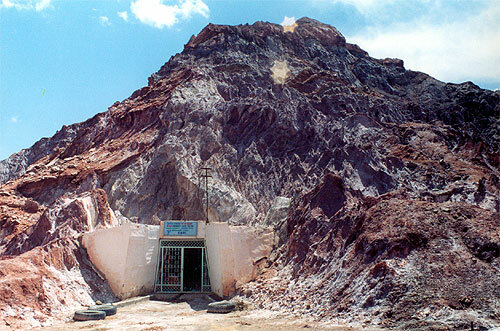 This is a land famous worldwide for its richness in gold and lazurite. Archeological discoveries have proven that the origin of agricultural civilization in this territory dates back to before the 5 thc. BC. 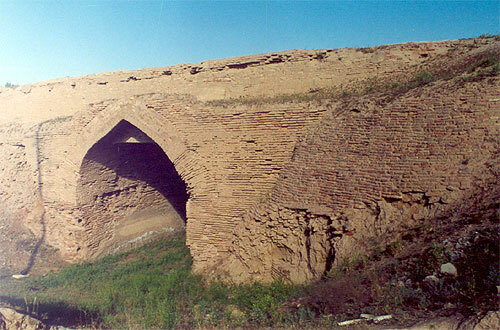 The city of Termez is the center of the southern part of Uzbekistan. An ancient settlement that was populated in the times of the Greek-Bactrian rules (3-2 cc. 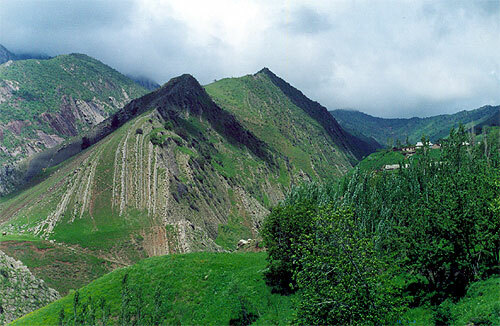 BC) was discovered near Termez. Among the numerous archeological and architectural sites discovered in the Termez area the Buddhist religious center Kara-Tepa with its various monuments of Buddhist culture is of particular importance. Modern-day Termez bears few traces of its colorful cosmopolitan history. The earliest signs of culture appeared during the Stone Age. In the 4thc. BC Alexander the Great, having defeated Akhemenid military forces of Darius the 3rd, annexed the state of the Akhemenids and then Bactria to his empire. In 329-328 BC - in Zariasp, the capital of Bactria, Alexander the Great received a proposal of peace and alliance sent by the Bactrian monarchs and the king of Khorezm, Farasman. Greek-Macedonian rule over Bactria lasted 180 years. Elements of Hellenism penetrated the culture of Bactria. Alexander the Great tried to conduct a policy of merging the cults of Greek and local gods. 312-64 BC - was the period of the reign of the Seleukids. After their collapse, the new Kingdom of Bactria emerged on the place of the former satrap state. Hellenistic gods were worshiped side by side with local ones. Buddhism and Hindu gods, glorified in the hymns of the Rigveda, ranked high as well. In the 3rdc. BC - on the crossroads running to India and China Termez town emerged, from where, in ancient times, the Nephrite Road began. The period from the 1st to the 4thc. AD was marked by Kushan rule, during which Buddhism became widespread in Eastern Turkestan and Central Asia, especially in Termez, where big Buddhist architectural complexes Kara-Tepa and Fayaz-Tepa were discovered. At the beginning of the 4thc. the Eftalits replaced the Kushans. The period of the 4thc. - 5thc. is called the era of the Samanids. Turk Khanate ruled the area in 6thc. - 7thc. In the 8thc. Bactria, as with Termez, became a part of the Arab Caliphate. The Samanids ruled in the 9thc.-10thc. 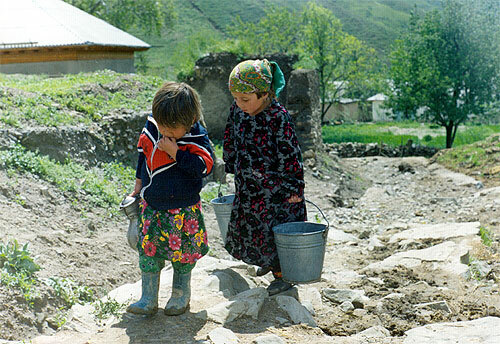 During the period of the Karakhanids and Seljukids, a feudal economic system developed. Ih the 13thc. the area was conquered by the Mongols of Genghis khan. The Temurids ruled in the 14thc. - 15thc. In the 19thc. Termez became a major frontier town on the southern border of Russia. 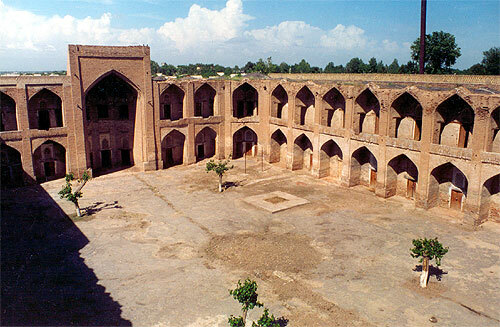 Termez, being a town with a centuries-old history, is today one of the major economic centers of Uzbekistan.